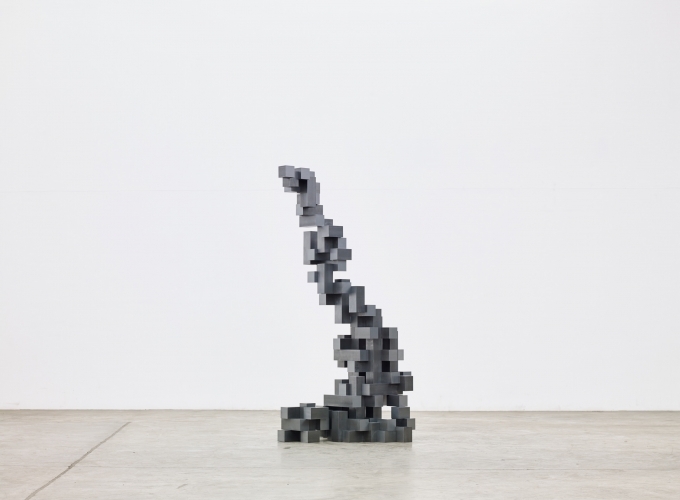 Sean Kelly Gallery is delighted to announce an exhibition of new work by Antony Gormley – BREATHING ROOM II. The opening will take place on Thursday, March 25th from 6pm until 8pm. The artist will be present. 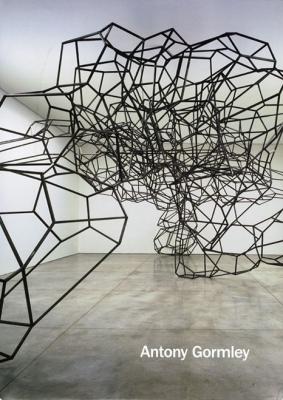 The relation between consciousness and space has been explored by Antony Gormley's work for 30 years: investigating the body as the bounding box of mind, and architecture as an enclosing structure for the body. 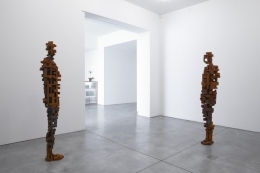 Testing these two conditions is the concern of BREATHING ROOM II, Antony Gormley's third exhibition at Sean Kelly Gallery. 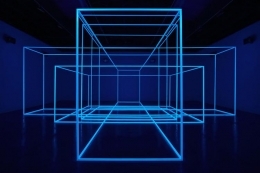 Alternating between 15,000 watts of brilliant light and no light at all, the main gallery contains the work of the show's title: a 3 dimensional drawing in space that describes 36 cubic meters with a photo-luminescent space-frame, stretching it along different axes and repeating it five times to make a nesting set. The work hovers between being architecture and being an image of architecture. 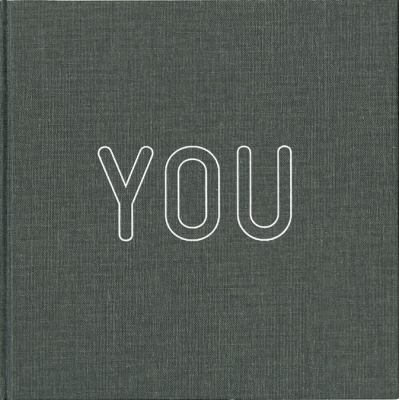 The viewer becomes the subject in an experiential field that oscillates between the meditative and the interrogative. On a repeated cycle, brilliant halogens come on for short bursts and then plunge the viewer and space into darkness in which the subject is implicated in a visual field framed by unstable but insistent glowing perspectives that allow free movement around and within them. In this installation the artist provides a ground in which the viewer's present experience is extended and tested through a deconstruction of spatial ordering allowing the viewer to become a self-observing figure in a disorientating ground. 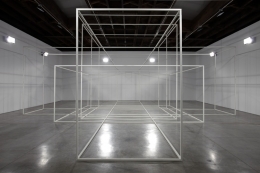 This intervention with the viewer's sense of spatial ordering continues with the other freestanding works in the exhibition – 3 of Gormley's newest sculptures, in which the orthogonal structure and absolute geometry of the built environment, both compressed and extended, is applied to a new investigation of the abstract body. 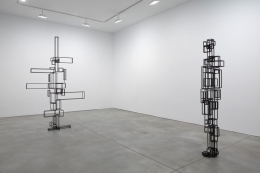 Concurrent with the exhibition at Sean Kelly Gallery, Gormley's monumental Event Horizon installation will be on view in and around Madison Square Park. Event Horizon consists of 31 sculptures cast from the artist's own body – 4 are placed at ground level on the sidewalks in and around the park and 27 are located on rooftops throughout the Flatiron District, including the Empire State and Flatiron Buildings. For more information on Event Horizon, please visit the official website: eventhorizonnewyork.org. 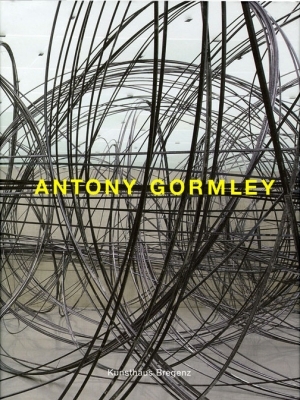 Antony Gormley's work is included in numerous public collections worldwide including: the Tate Modern, London; the Centre Georges Pompidou, Paris; the National Museum of Modern Art, Tokyo; the Museum of Contemporary Art, Los Angeles; the Walker Art Center, Minneapolis; the Denver Art Museum, Denver; the Nasher Sculpture Center, Dallas, among them. Gormley was awarded the Turner Prize in 1994 and the South Bank Prize for Visual Art in 1999 and was made an Officer of the Order of the British Empire (OBE) in 1997. He is an Honorary Fellow of the Royal Institute of British Architects, Trinity College, Cambridge and Jesus College, Cambridge and has been a Royal Academician since 2003.